Flexo at Consumerism Commentary says that the Wikipedia entry on “passive income” is WRONG. Passive income is a rent received on a regular basis, with little effort required to maintain it. OK, that’s pretty obviously incorrect, so let’s adjust this slightly to say: “Passive income is any income received on a regular basis, with little effort required to maintain it”. … it should be attached to all of them! Q: If you put the owner of such a business in one corner of a room with Santa Claus, The Easter Bunny, and the Tooth Fairy sitting in the other three corners, and you put a bucket of gold in the middle, who would be the first to get to the gold? A: No one, because there is NO SUCH THING as Santa Claus, The Easter Bunny, the Tooth Fairy … or, a business that does not require direct involvement from the owner! This is great, especially if you have (i) a flawless property manager, and (ii) NO taxes, vacancies, repairs, maintenance, mortgage payments, refinancings, etc., etc. Agree; totally ‘passive’ … that is, AFTER the book writing, editing, deadlines, interviews, and book signings … and, BEFORE the next book writing, editing, deadlines, interviews, and book signings. Please! Exactly HOW do you ‘passively attract’ readers to your site to get the ‘earnings from internet advertisements on websites’?! And, Answered: “that must be renewed on a regular basis in order to continue receiving its benefits” … we addressed this exact issue for (another) Scott, not so long ago! Now, this is interesting – if it is indeed true that in “the United States, portfolio income is considered a different type of income than passive income” – because (at least, to me), dividend and interest income is one of the MOST PASSIVE of all of the items on this list … interest rate changes, market crashes, poor earnings reports, and other reasons that a Board may reduce or eliminate the dividend, aside. Strange that whomever reviewed this entry felt this one to be ‘dubious’ … ‘old style’ pensions (like government ‘lifetime pensions’, and the ones that are sending the car companies broke) seem to be the most passive of all of these! I suppose the key word is “maintain” – to use one example, technically, once you have written your book it takes no further effort to maintain your flow of royalties (although even that is debatable if you have to actively promote the book). One odd thing about that definition – it does not specify whose effort is required to maintain the income stream. It’s implied and generally understood that it refers to effort on the part of the recipient – but without that understanding I would have to say that there is no such thing as truly passive income at all. In any event, I agree with your points. The definition is not helpful and strikes me as the sort of emotive term used by politicians to support demands for higher taxes. 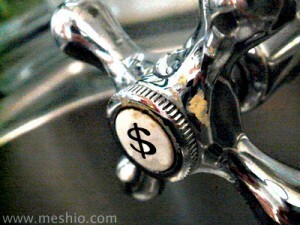 I think the idea of “passive income” is often confused with multiple income streams. Just because you (well not you but most readers) have a ‘day job’ and a rental property does not make your rental property passive – it just means your income comes from multiple sources. Most countries in the third world never respects intellectual property rights. piracy is so rampant in asian countries. :..